My friends, everywhere in the world it is now 2015 – Happy New Year! This is me and my life, and it’s the only time I am ever going to live it. How can we shine? In the week before Christmas, I bought something I had never bought before: a 2015 year planner. It wasn’t just any old planner though – it was a Leonie Dawson 2015 Create Your Shining Year workbook. Leonie is a kooky, effervescent Australian hippy chick with a cracking sense of humour, a love of cussing – and who also happens to be a millionaire artist and business woman. Every year she puts out these amazing, beautiful workbooks, available digitally and in hard copy, just for women. And totally affordable too. So, for the last couple of weeks I have been working my way through it – first the 2014 closing ceremony where we celebrate and release 2014 – and then the dreaming, planning and creating 2015. This is where I am entering totally new ground. Click on the image to check it out. Seriously, it’s awesome – and life changing too. Friends, I am not a planner. There’s something in me that thinks if I plan then I reduce my spontaneity, flexibility and my ability to pick up on opportunities as they come up. Maybe that was true once, but it’s not now. Now, I feel like I know the direction I want my life to head. I’m done with experiencing life through the lens of okay, so I don’t like that, and right, I definitely don’t want to do that. Now, I’m more like: wow, I love this, this and this and I want to put more of it in my life because when I have more of that good stuff, I am happier, kinder, fuller and good magic happens to me! Already this year I have created ritual days (a writing day, a weekly family movie/game night, regular dates with the Bear, health maintenance days, family adventures) and then plotted them in my calender. Yesterday, the workbook asked me to plan a retreat for myself. I wasn’t sure what to do at first, and then I remembered that I wanted to see Elizabeth Gilbert when she comes to Byron Bay in late February (I know) and I could plan a retreat around that. So I booked the ticket ($35), and wrote it on my calendar. An hour later a friend rang, offered to be my travel buddy so we could split expenses and told me about her favourite place to stay in Byron Bay. I emailed them and they got back to me today – they have a vacancy on that date, and even though they prefer to do five night stays, they are happy for us to do a two night stay. Do you see what I mean? The act of making that first little step is just magic. And tomorrow night, I’m going dancing. How is 2015 feeling for you? Do you use a workbook to help you plan your best life? On Tuesday it was a stinking hot day. Usually it is hotter where we are, in the hinterland, but on this day, with a hot westerly wind blowing, it was hot from the ocean to the mountains. The kids and I were at home, and it quickly became apparent that to do anything but lie gasping on the couch was impossible. I had heard about a tv series called Our Zoo, and suggested that we watch a couple of episodes. We all loved it so much, that we spent the whole afternoon watching one after the other. In fact, we watched five hour long episodes in a row 🙂 In no way did I feel like that time had been wasted. 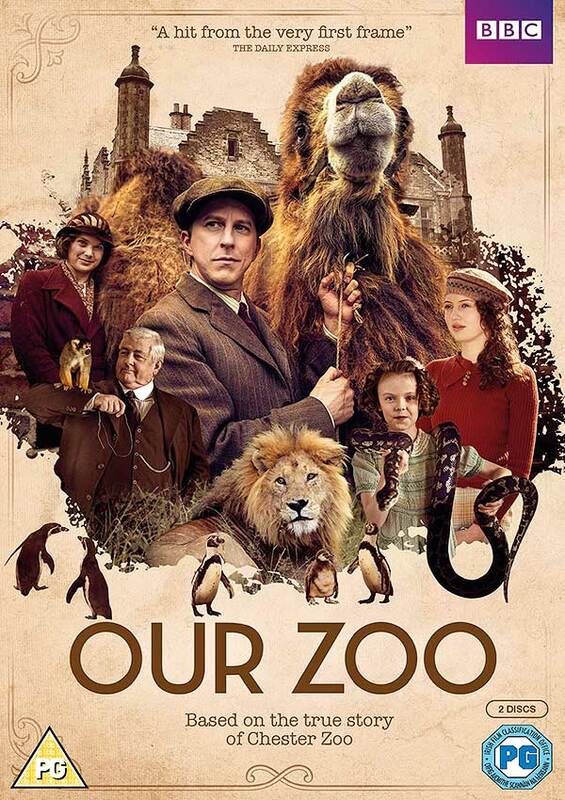 Our Zoo is a 6 part series set in the 1930s and is based on the story of Chester Zoo in England. George Mottishead is a World War 1 veteran, traumatised by his experiences and struggling with life. He is volatile, sensitive and emotional – and then he starts bringing abandoned animals home. A parrot, a monkey, then a camel. This proves to be the last straw for his family, in their tiny semi-detached townhouse. Something has to happen, and it does. Chester Zoo is born. But boy, does it ever have teething problems 🙂 It’s a wonderful watch, and your kids will love it too. This book has been on my to read list for 12 months, so in that peaceful gap between Christmas and New Years, I finally read it. In fact, I inhaled it over three days. I loved it. I was by turns sad, bewildered, outraged, annoyed, impressed, respectful and relieved. I liked her because of her honesty and humour, her doggedness and bravery. I loved walking the Pacific Crest Trail with her. I love that she wrestled her life in her two hands, shaking it to the ground and refusing to let up until it let her in. Yes, she is a big fat idiot (her words), but a resourceful and determined one as well. A good read. I think Mjvk stands for Melissa Kooijmans – but I haven’t been able to confirm that. Anyway, it’s beautiful isn’t it? Twitter – follow me on Twitter to see all of my other best reads that don’t quite make it on this blog, but are still awesome – I love a chat too, so come visit :). I know, I’m that excited about seeing Liz! Normally it would be me saying that I am too far away, but not this time. Hey, how was the movie of Wild? I’m so glad you enjoyed the book – some people hated it, but I loved it. really, people hated it? wow! i thought it was very intense, but sooo good. the movie was also good, but i felt much more depth in the book. i’d still recommend it though – reese witherspoon was great! Oh yes – I read the reviews on Goodreads after I read it (never read the reviews before you read!) and people were totally polarised. I’ll check the movie out, sounds good! Sara, great round up, as per usual. I love the image–I’m always a sucker for a woman with flowers coming out of her brain 🙂 I found Wild to be really inspiring as well…I loved the book, and normally I don’t like to see movies when I’ve read the book, but Wild was really well done as a film. And isn’t that the case that as soon as you take the first steps on your true path…the rest unfolds exactly as it should. Good for you on booking the retreat. Happy New Year! 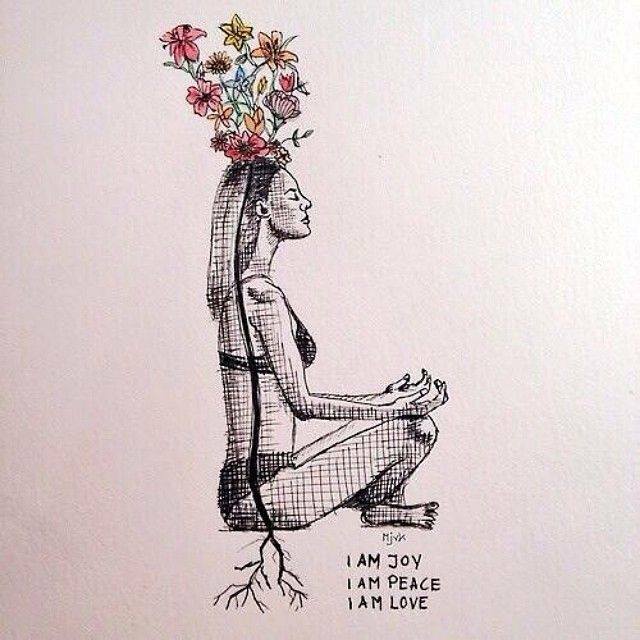 I also love women with flowers growing out of their brain 😜. That settles it, i’m watching the movie :). I’m glad you loved the book too ❤️. Lots of new things to explore in the New Year and it just the beginning and at the same time we should keep a tab on many things which are basic but important to follow and adhere to in life’s journey. Though routines are boring but these are necessary and keeps us going, and we are stuck, we should take a detour, we can use the creative methods and different ways to re-charge and get back to routines. Yes there is indeed a Freshness in the air as we enter into 2015..
Lovely Post full of positives… And yes ‘Our Zoo’ was a really good series to watch here in the UK… Full of humour, its a wonder the original Zoo ever got off the ground.. Chester Zoo is a wonderful place to visit though I have not been in some years..
Great post Sara, I enjoyed your enthusiasm and positive feelings about the coming year. You’ve been busy already, putting those little rituals into place. For me, this is the time when I begin to polish the dreams I’ve dreamed over the last couple of months, so that they become my projects for the year. Wild is on my to read list for this year. Planners are dear to my heart so to see that there are ones out there that take it a step further and actively help people plan out their lives is so cool. Though I suspect I don’t need too much help in the planning department (if anything, I need someone to tell me to let loose and go with the flow more often), a workbook sounds like a lot of fun. Yes 😊 Of course there are the uber planners on the other end of the spectrum. I used to be a planner, but it was more in a control freak/fearful way, and I decided that I didn’t want that part of me running the show anymore, so I stopped. Now I realise that while I don’t want to plan in that way anymore, some planning is needed to get the kind of life I want. You know? 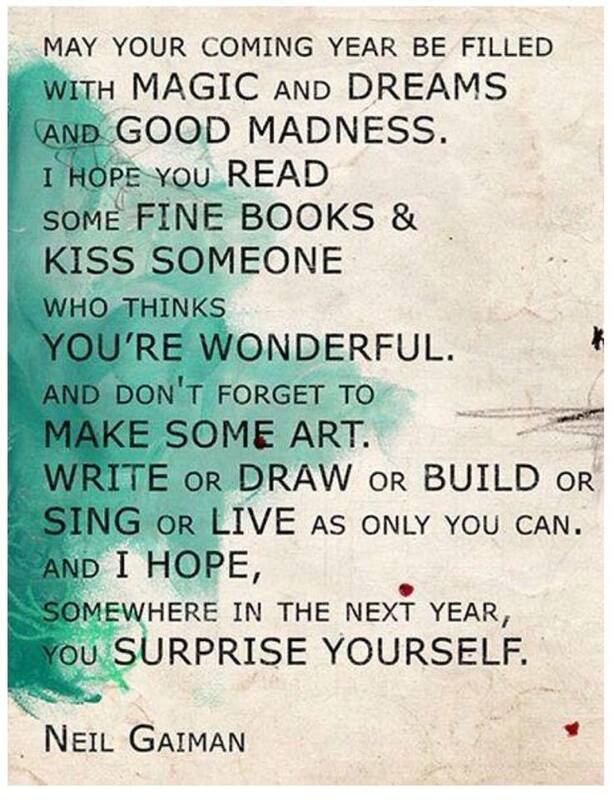 Here’s to 2015!